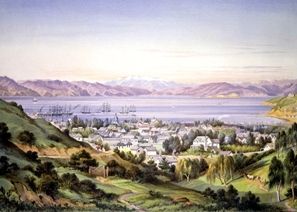 On Wednesdays from 12.30-1.30pm during the month of August, the Central Library will be hosting a series of history talks covering the social, urban and Māori history of Wellington. Have a read of the programme below, and come along! Wednesday 7 August: The Flight to South Karori: How Katherine Mansfield’s family coped with life and death in the time of cholera (1890-93) by Redmer Yska Notable Wellington historian Redmer Yska uncovers the extraordinary story of Wellington’s cholera epidemic and the associated flight of the Beauchamp family out of the city, along with many other members of Wellington’s middle-class. The story also covers the political battles that waged between influential forces as the city struggled to gain the means to rectify the situation. Wednesday 28 August: He tohu aroha – the protective role of Māori cloaks by Awhina Tamarapa Awhina Tamarapa edited and contributed to the book Whatu Kakahu which arose from the outstanding exhibition at Te Papa, Kahu ora : living cloaks (June-Otober, 2012). Of special interest to Wellingtonians will be the history of the cloak of Ruhia Porutu, deposited into the care of Te Papa by the whānau of Henry Pitt. This is the beautiful kākahu that saved the life of Thomas Wilmore McKenzie in 1840 who had arrived in Wellington as a teenager on board one of the first settler ships. McKenzie went on to become a prominent Wellington citizen but never forgot the debt he owed to Ruhia Porutu and the two families maintained a life-long friendship. Awhina Tamarapa (Ngati Kahungunu, Ngati Ruanui, Ngati Pikiao) is a curator of Maori artifacts at Te Papa. She holds a Bachelor of Maori Laws and Philosophy from Te Wananga o Raukawa, Otaki, and a Bachelor of Arts from Victoria University, Wellington, where she majored in Anthropology.